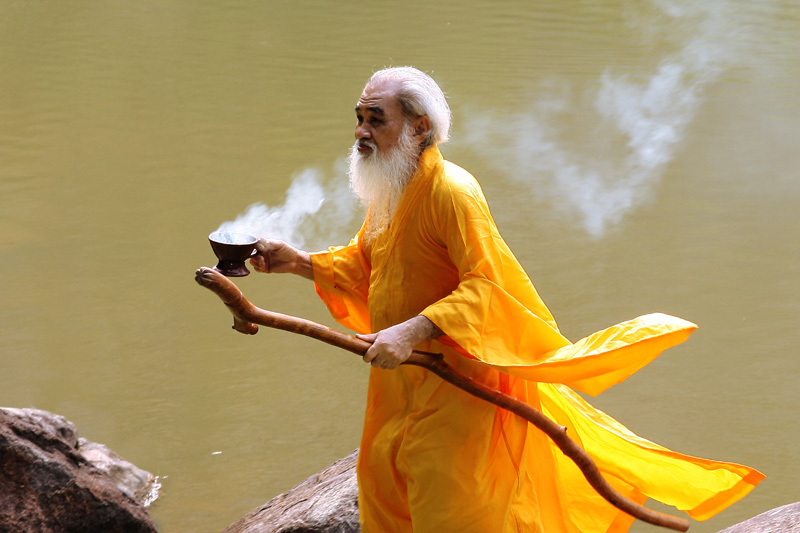 he is not a real monk,, just a model,.,. This picture is great! Colors, expression! Photo looks interesting with smoke and his clothes(don't know the proper name for it) moving as he walks. But, maybe photo would be even better if we could see entire body, .. I mean hes feet too. This is only my opinion. Still, it is a nice photo. wonderful image and great scene! EXCELLENT ... the smoke the yellow garment absolutely fantastic! The light is outstanding, STAN!